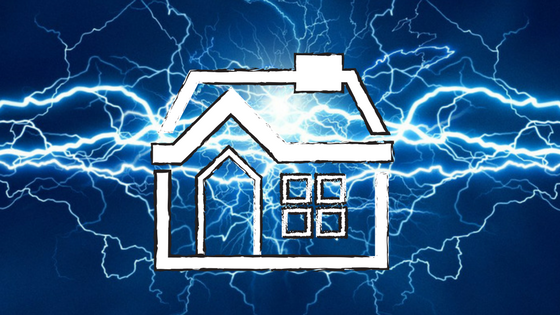 Home/Uncategorized/Why Do You Need Surge Protection? Having seen damaged or destroyed appliances due to electrical surges, we aim to go Above and Beyond to explain the risks of electrical surges and how simple it is to protect your household appliances. Electrical surges pose a risk to your most expensive and important devices and can occur when the voltage increases above the norm for 3 nanoseconds or more. Sometimes the voltage increase is enough to destroy your device beyond repair. Even the normal ups and downs of electric supply can damage your equipment over time. This can have catastrophic results, particularly if you rely heavily on certain devices like a computer. If you regularly back-up your data and use virus software then you also need to make sure that you are protected from electrical surges. Surges are most commonly caused by large, power-sucking appliances that require lots of energy to run them. When they are turned on they can put strain on the grid which can cause a surge. Lightning strikes and downed power lines can also cause surges however this isn’t as common. Surge protectors keep your equipment safe by making sure only a designated amount of power reaches your connected equipment. Have a surge protection device installed by a licenced electrician in your switchboard. This will reduce the over voltages and will minimise potential damage. It provides protection for all of your appliances. You can purchase a surge board from most hardware or electrical stores as a single-outlet unit or multi-outlet power board if you didn’t want to have permanent surge protection installed. If you choose to buy surge boards, we recommend surge protection for expensive devices such as your television, computer, home entertainment system or high-tech kitchen appliances such as a Thermomix. It’s best to choose one that has an absorption rate of 6-700 joules or higher, with a protection level of between 2000-4000 volts. They need to have protection status light so you can be assured that they are operational plus a failsafe which stops the unit working as a normal board if the surge protection is no longer functioning. Contact Captain Electric on 1300 445 996 or visit our website www.captainelectric.com.au (REC 18185) if you require any further information on surge protection and your devices.